Advance Financial is proud to have been honored with awards and recognition for various different reasons, such as community service, our training program, best in business, chamber of commerce, workplace and learning, as well as recognition for members of our executive team. See below for a selection of the awards and recognition we have received. We were named the winner of the Family Business Market Mover at the 2018 NEXT Awards. Organized by the Nashville Entrepreneur Center, the NEXT Awards recognize businesses of all sizes that make a significant impact on the Middle Tennessee economy. 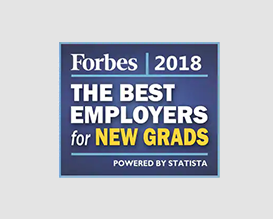 We were named to Forbes’ first-ever ranking of The Best Employers for New Graduates. 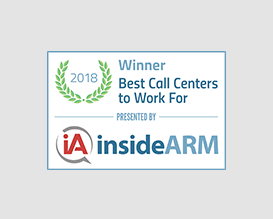 As a leading fintech company, we were awarded one of insideARM’s 2018 Best Call Centers to Work For. Tina Hodges, our CEO and Chief Experience Officer, was a Gold CEO World Award for CEO of the Year and a Gold Women World Award for Female Executive of the Year in 2018. 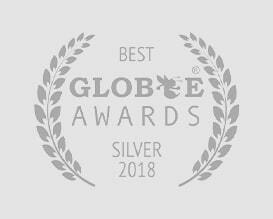 We were awarded a Silver Globee Award for Jobs Growth of the Year in 2018. 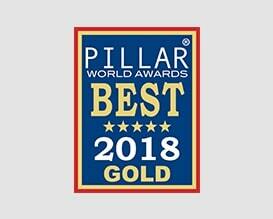 We were awarded a Gold Pillar Award for Best Employer Achievement of the Year in 2018. We announced the inclusion of our Chief Executive and Chief Experience Officer, Tina Hodges, on the Nashville Business Journal’s Women of Influence list for 2018. Tina was honored in the Family Business category. We won gold for Corporate Giving in the Golden Bridge Global Awards. We were honored for our corporate citizenship program, and the Advance Financial Foundation, which gave $203,755 in charitable contributions in 2015 to education and health and wellness organizations in Nashville and the other 34 cities throughout Tennessee where we have storefronts. Employees also logged a total of 1,557 community service hours in these cities. In the first half of 2016 the program gave $142,000 and volunteered nearly 1,000 hours. 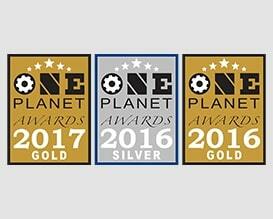 The One Planet Awards is the world’s premier awards program honoring business and professional excellence in every industry around the globe. We were named in both the Gold and Silver levels in 2016 and 2017. In 2017 we were named the Gold Level winner in both the Fastest Growing Company of the Year and Corporate Milestone of the Year categories. In 2016 we were named the Gold level winner for Corporate Social Responsibility (CSR) Program of the Year and the Silver level for Most Customer Friendly Company of the Year. Advance Financial recently received the highest honor in its industry: The Financial Service Centers of America (FiSCA) William Siegel Financial Service Provider of the Year Award. The company was also recognized as one of the seven financial service centers granted the 2016 Activa Award for leadership in their community through volunteerism and ongoing charitable contributions. The Stevie® Awards are the world’s premier business awards. They were created in 2002 to honor and generate public recognition of the achievements and positive contributions of organizations and working professionals worldwide. In 2017, we were named a Bronze winner for Company of the Year, Financial Services, in the large category. In 2018, we won Bronze for Corporate Social Responsibility Program of the Year up to 2,500 employees and Silver for Fastest Growing Company of the Year up to 2,500 employees. 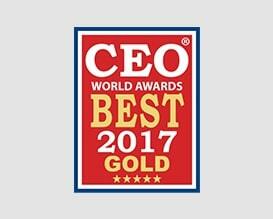 The coveted annual CEO World Awards program encompasses the world’s best in leadership, innovation, organizational performance, new products and services, CEO case studies, corporate social responsibility, and milestones from every major industry in the world. Organizations from all over the world are eligible to submit nominations including public and private, for-profit and non-profit, largest to smallest and new start-ups. We are so proud of our Female CEO of the Year – Gold Winner for Corporate Social Responsibility, Tina Hodges. We are the proud recipient of the 2014 Business with Purpose Award, which is sponsored by the Dean Institute for Corporate Governance and Integrity at Lipscomb University. The award recognizes those individuals and companies who have demonstrated their unusual commitments to outstanding service to the community, to encouraging their employees to achieve a higher social mission, and to achieving the highest level of profitability and financial success. The Nashville Business Journal announced the winners of their Most Admired CEOs and Their Companies late in 2014, and Advance Financial’s CEO Tina Hodges was among the winners. NBJ solicited nominations from the public, and nominees then voted on one another by category. 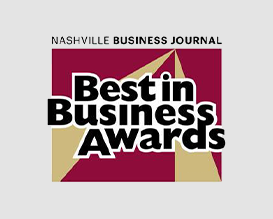 The Nashville Business Journal identifies the companies that set the standard for growth, service, quality, innovation and execution of a superb business strategy. Finalists and winners were picked by a panel of judges who considered financial data like profitability and other metrics. We have been a finalist in 2013, 2012, 2011 and in 2014 we won in the 500+ employees category. Training Magazine votes the top 25 Emerging Leaders in Training. These people have been in the training industry between two and 10 years, led a large-scale training initiative, demonstrated specific leadership qualities and have the potential to lead the training or L&D function at an organization in the next one to 10 years. We were in the top 25 in 2013. This award is centered on encouraging store owner/operators to improve the appearance of their stores. The association recognizes members that are operating stores that reflect positively on the industry, and encourage others to do the same. We won this award in 2013 and 2012. This award is taken from the NBJ 100, a list of the area’s 100 top private companies ranked by revenue that’s been compiled for more than a decade. The companies on this list are then asked for revenue totals for each of the past four years and ranked by the greatest revenue growth over the past three years. We were the #2 Fastest Growing Privately Held Company is 2013. The Mary Catherine Strobel Volunteer Awards recognize volunteers who give their time and talents to improve the community. 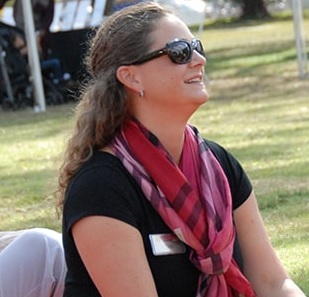 Hosted by Hands On Nashville in partnership with the Strobel family, the Awards honor the spirit of service demonstrated by Mary Catherine Strobel. We were a Corporate Service Project Finalist in 2013. The Inc. 5000 ranks the country’s top 5000 fastest-growing private companies. The Inc. 5000 is ranked according to percentage revenue growth over a four-year period. We have been on the Inc. 5000 list for seven years in a row. We ranked #1165 in the overall ranking in 2012. #1590 in the overall ranking and #96 in Financial Services Companies in 2013, #1771 in the overall ranking in 2014, #2230 in the overall ranking in 2015, #2061 in the overall ranking in 2016, #2000 in the overall ranking in 2017 and 2285 in the overall ranking in 2018. The Tennessean Top Workplaces program is designed to highlight companies in Middle Tennessee that have created great environments for their employees. Out of the 605 employees that were invited to complete the survey, 515 employees responded, giving us a response rate of 85%. In 2013 and 2014 the program has recognized companies as Top Workplaces based solely on surveys about the workplace completed by its employees and we were one of those companies both years. BizLibrary, a leading employee training and development solutions provider for small and mid-sized companies, is proud to announce Advance Financial as the recipient of its 2012 Best Measured Results award. In 2012, we were recognized as having the Training Professional of the Year. Chief financial officers from across Middle Tennessee are selected by the Nashville Business Journal as finalists and winners by a panel of judges. In 2012, we won CFO of the year in the Small Private Company category. The ASTD Awards programs recognizes individuals and organizations for their impact on the workplace learning profession and for contributions to ASTD. We won The Golden Torch Award for Technology Initiatives in 2012 and The Golden Torch in recognition of Achieving Results in 2011. The Future 50 program identifies and celebrates the 50 fastest-growing, privately held companies in the Nashville area. The winners have contributed to economic growth in areas such as health care, technology, construction, manufacturing, finance, retail and services. We won the Future 50 Award in 2010.